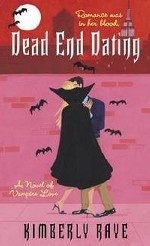 Аннотация к книге "Dead End Dating: A Novel of Vampire Love"
A vivacious vampire with a flair for accessorizing, Lil Marchette is unlike most of her kind. She prefers lively shades of pink to dismal black (soo not her color), plus she’s a hopeless romantic. In need of a steady paycheck to support a compulsive cosmetics habit, Lil starts Dead End Dating (DED), a Manhattan-based matchmaking service that helps smart, sophisticated singles like herself find eternity mates – and may even help her stake a claim to her very own Count Right! When Lil meets geeky vampire Francis Deville, she knows he’s the perfect first client. If she can hook up Francis – after a little revamping, of course – she will prove her skills to the vampire community and turn DED into the hottest dating service in the Big Apple. But just as her business takes off, Lil meets the (literally) drop-dead gorgeous bounty hunter Ty Bonner, who is hot on the chase of a serial killer. Instantly drawn to the luscious vamp stud, Lil really wants a taste. But as a made vampire, Ty can’t procreate – and Lil will settle for nothing less. Luckily, between “vampifying” Francis and helping Ty solve his murder mystery, Lil has no time for silly romantic even if Ty is all that and a Bloody Mary chaser!